The Lightning motorcycle corporation recently unveiled the most affordable electric sports motorcycle. The new Lightning Strike is fast, powerful and has a premium design. It shocked the industry as a whole with unmatched performance at a competitive starting price of $12,998. The new motorcycle is an outcome of 10 years of continuous efforts and passion. In 2013, LS 218 electric sports bike from Lightning motorcycle corporation beat the gasoline counterparts with the top speed of 218 mph. It was a historical win for electric motorcycle industry and for the team at Lightning motorcycle. The new Lightning Strike's production is based on three principles. The first one is the development of the best technology in the world. Second is proving the superiority in technology through competition. The third and last principle is reducing the cost of producing the technology to make it affordable. The design of the Lightning Strike blends elements such as track readiness, daily commuting, and comfort. The most important ingredient of the blend is the aerodynamics. 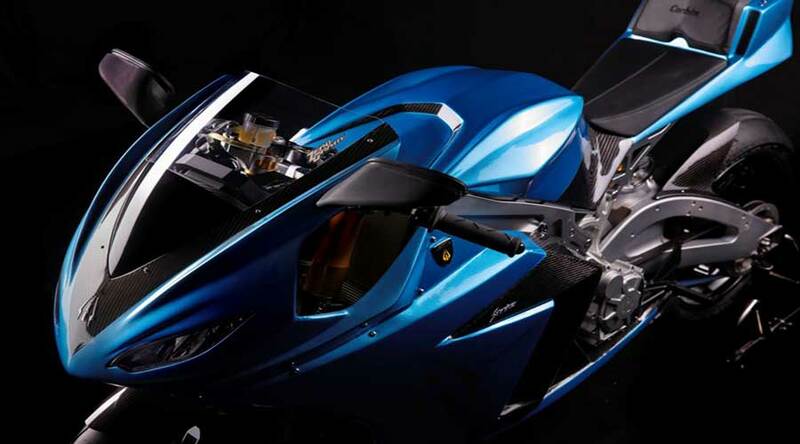 The extensive wind tunnel testing lead to the most aerodynamic electric motorcycle with a 30% reduction in aerodynamic drag. As a result, the Lightning Strike shows significant improvement in highway range. Furthermore, the Lightning Strike significantly resembles the LS 218. The styling has more compactness when we compare the two designs. The significant focus on rider triangle geometry results in comfortable riding stance. It also feels like its a natural extension of the rider. 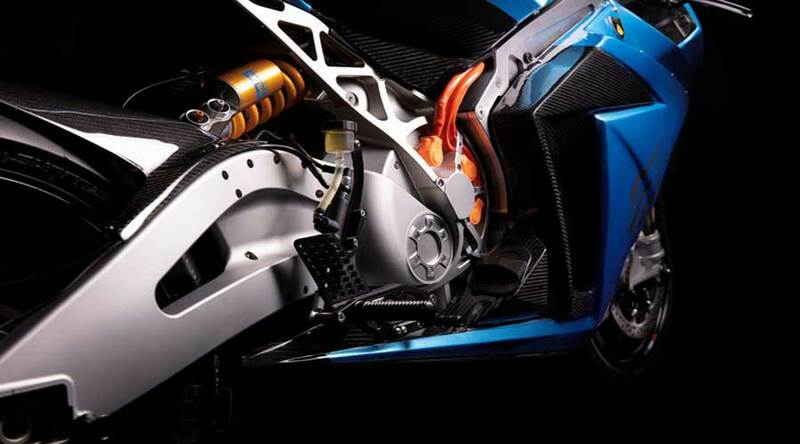 Overall, its a most dynamic package when it comes to electric sports motorcycle. The lightning really strikes when it comes to performance. The Strike's fully liquid cooled induction motor churns out 90 Hp of raw power with 180 lb-ft torque in the standard version. Furthermore, in Strike's carbon edition, the motor churns out 120 Hp of power with 180 lb-ft of torque. The standard version of the Strike has 135 mph of top speed while carbon edition has a top speed of 150 mph. The carbon edition of the motorcycle also comes with 20 kWh battery with Level 3 DC fast charging as a standard. The edition also includes a performance package with top-of-the-line components. 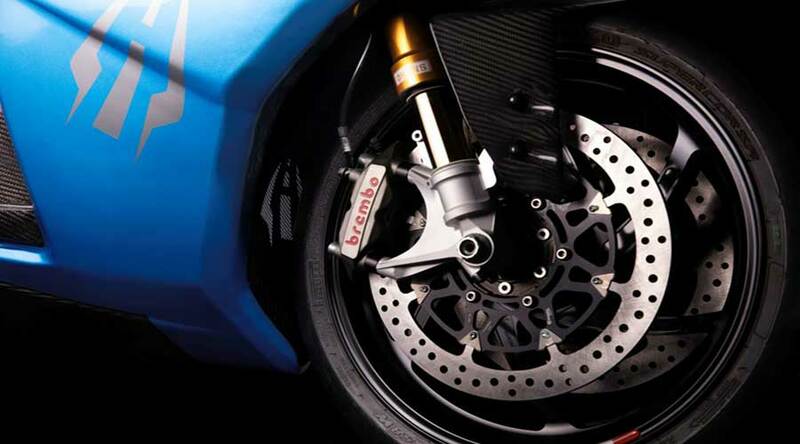 They include Ohlins front and rear suspension, AIM Strada racing dash with lap-time and GPS data logging and Brembo monoblock brakes. The immense level of power and readily available torque needs precise control. In order to achieve this, the throttle response is finely tuned to give smooth power delivery at all times. So, the rider has a sense of control in any type of riding. Hence, in any riding environment from track to city traffic, you have precise control on your machine. The Lightning Strike comes with different battery sizes and in accordance to the size, the range varies. The 10 kWh gives 70-100 mile range, 15 kWh gives 105-150 mile range while 20 kWh gives 150-200 mile range. In addition, the strike comes with a different level of charging. The Level 1 charging is overnight charging option. The Level 2 charging comes with a charge on-the-go option with charging network. Here, you can charge in 2-3 hrs. The last Level 3 charging has the lowest charging time of just 35 minutes and you are ready to go. The 20 minutes Level 3 charging gives 100+ miles of range. Level 1 and Level 2 charging comes standard. You can buy Level 3 DC fast charging at $1500 as an option. The standard charger has rated capacity of 3.3 kW while you can buy 6.6 kW onboard charger for $1500. The deliveries of the Strike will begin from Jul 2019 with carbon edition followed by the standard one. We are very sure this model will break all the stereotypes and mark it's presence on the road.